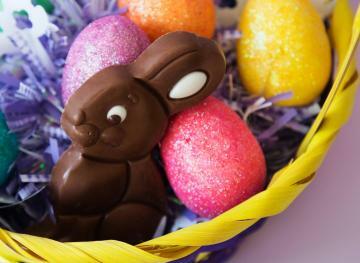 Trader Joe’s has a knack for surprising us with seasonal treats. And when it comes to autumn, in particular, TJ’s always thrives. The entire store smells like a candle factory, and you can spot the color orange in every direction. 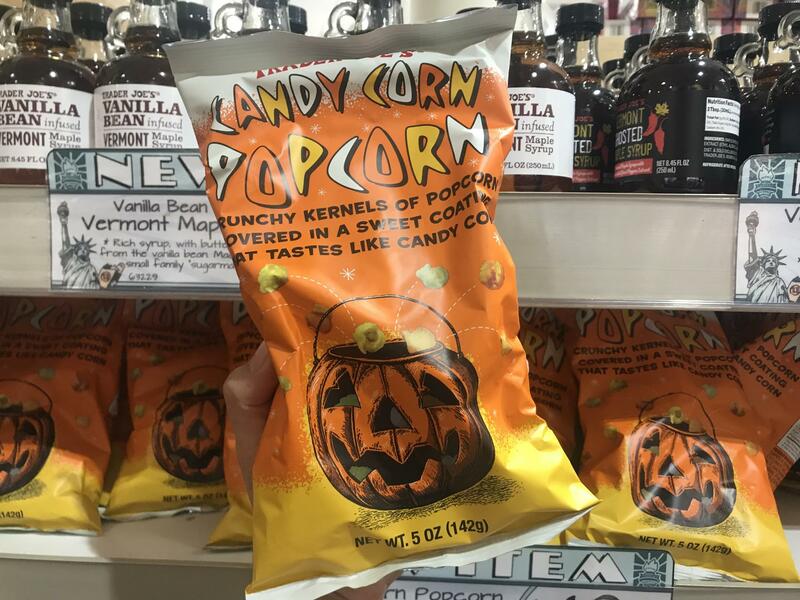 So once you’ve picked out the perfect pumpkin, here are five of the coolest new Trader Joe’s products to get your hands on this fall. 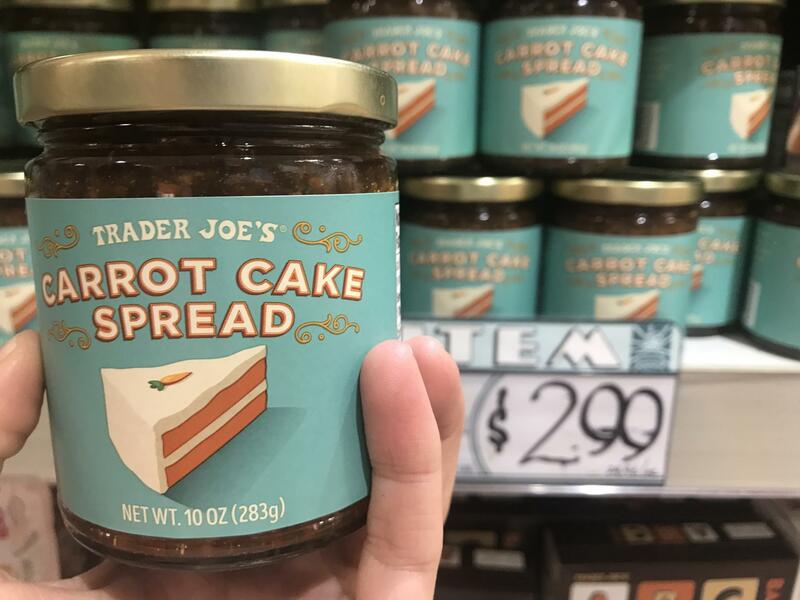 Regardless of your level of affection for cream cheese frosting, this carrot cake spread seems like a good idea. 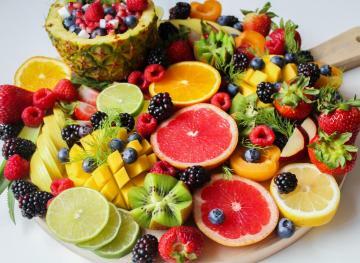 It’s made with ingredients like dried carrots, apple juice, pineapple, raisins, molasses, orange peel, lemon juice and vanilla extract. Each 10-ounce jar retails for $2.99. 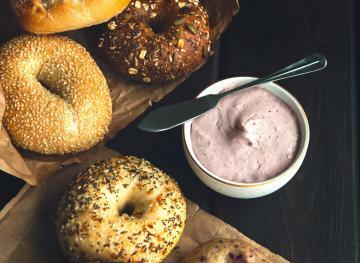 We’re thinking our morning toast routine just got a pretty sweet upgrade. 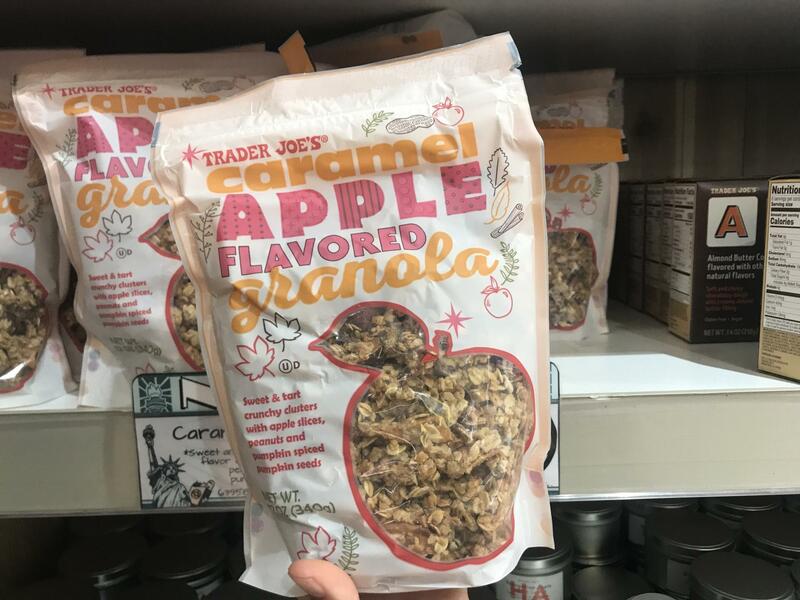 Anytime TJ’s wants to play around with granola flavors, we’re here for it. This caramel apple granola is tart and sweet with crunchy clusters, apple slices, peanuts and pumpkin-spiced pumpkin seeds. We’re thinking hard about our fall yogurt routine, folks. Each 12-ounce bag retails for $3.49. If you’re as passionate about hot honey as we are, then you’ll love this spicy TJ’s syrup. 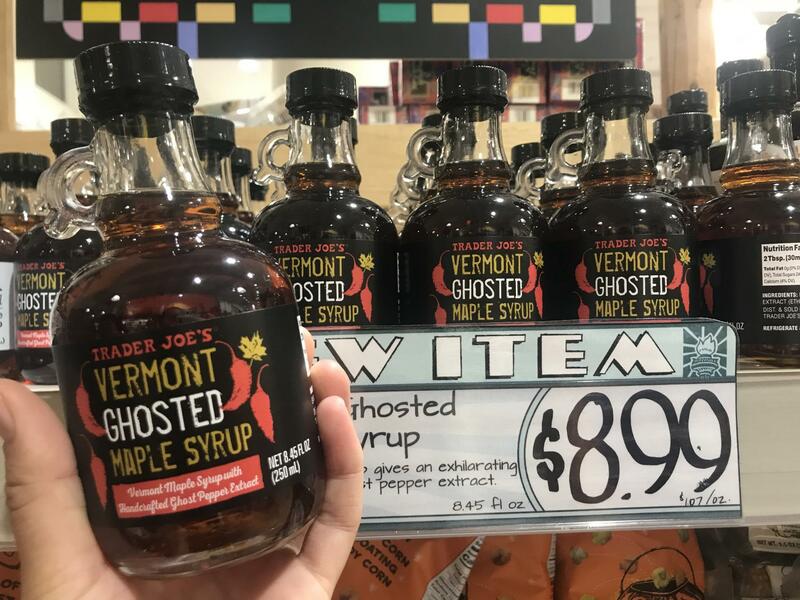 The Vermont Ghosted Maple Syrup is made with ghost pepper (one of the hottest peppers in the world) extract. A bottle will run you $8.99. We’re pretty excited to douse our chicken ‘n’ waffles with this spicy syrup. Candy corn is one of those fall treats with a loyal following. If you’re into candy corn, chances are you’re in it for the long hall. 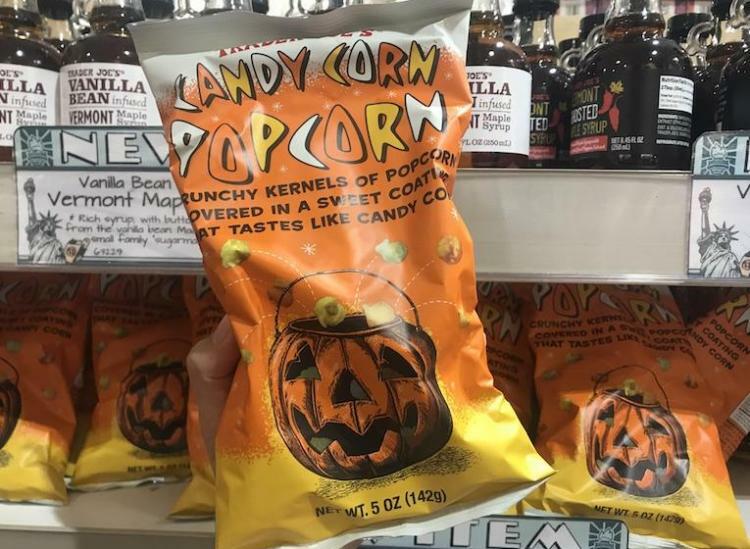 This popcorn, which will run you $1.99, is coated with a sweet candy corn layer so you’ll get an extra crunch along with your favorite Halloween candy this year. We’re all kinds of intrigued by this fall-themed item. 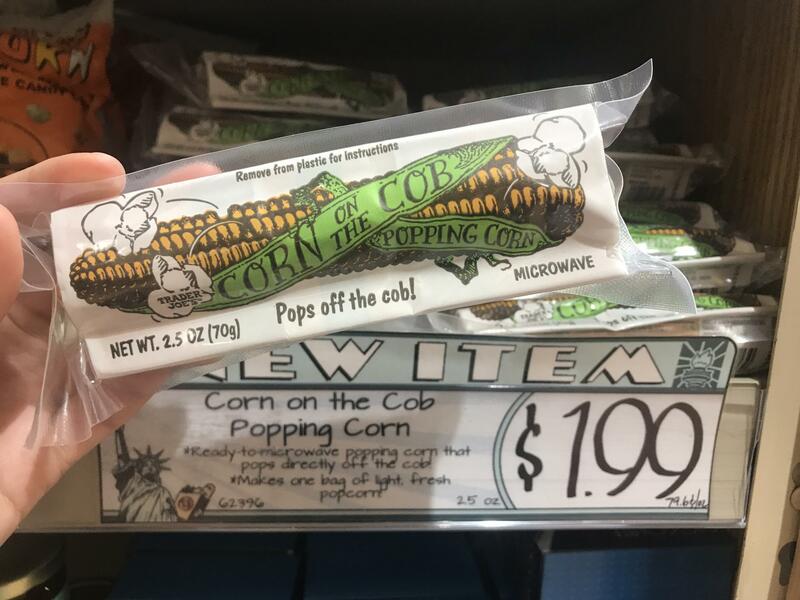 It’s a mini corn-on-the-cob that you cook in the microwave, and the kernels pop right off of the cob, making about a bag’s worth of fresh popcorn! Each cob will run you $1.99.